(1) Does not test on animals. (2) Does not contain any animal products or byproducts. 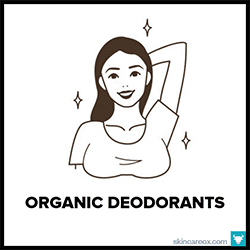 (3) Does not contain potentially toxic ingredients (like parabens, phthalates, sulfates, PEG compounds, petrochemicals & mineral oils, ethoxylated ingredients, synthetic fragrances & colors, and others). (4) Does contain high quality natural ingredients as well as organic or certified organic ingredients. (5) Does have great reviews from customers across the web. 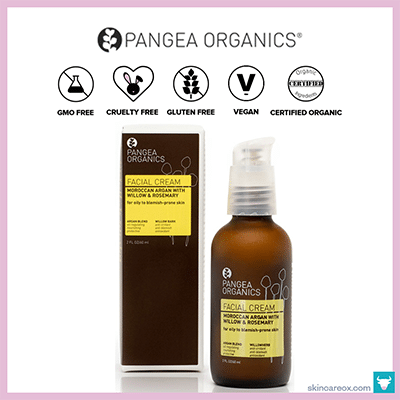 Need a little help choosing the best vegan organic skin care products for your skin type? Then, check out our Ox Box! Get a box filled with curated premium organic skin care products tailored for your specific skin type and skin conditions. Many vegan organic cleaners come in two varieties: foaming and non-foaming. One common foaming agent commonly used by health conscious brands is coco-glucoside (an ingredient created by the combination of coconut oil and fruit sugars). Coco-glucoside is a safe, gentle, and effective ingredient for foaming, cleansing, and conditioning the skin. However, not all cleansers need to have a foam or lather in order to be effective! Non-foaming cleansers are equally great and super simple to use (just apply to a cotton pad, wipe your face, and rinse). Instead of using soap, non-foaming cleansers use organic essential oils, teas, and powerful extracts to work their magic. Cleansers don’t get much simpler than this. Made from three simple ingredients (organic rosewater, organic tea tree oil, and organic vegetable glycerin) the S.W. 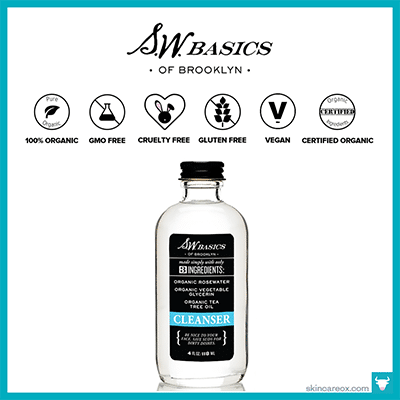 Basics Cleanser is the perfect solution for people with sensitive, acne-prone, and problem skin. This vegan organic cleanser contains no soap or harsh chemicals and it works a bit differently than traditional cleansers. Fans of this product swear that it leaves their face feeling squeaky clean and soft. This cleanser contains the same three organic ingredients as the S.W. Basic’s cleanser and works the same way: apply to the face using a cloth or cotton ball and gently wipe away any dirt, makeup, and oil. (Note: differences in the ingredient quantities can lead to different results between the two products). The subtle combination of rosewater and tea tree oil make this a perfect vegan organic face wash for sensitive and acne-prone skin types. 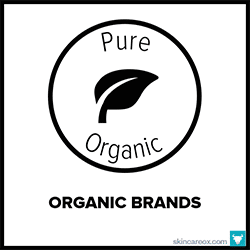 100% Pure has a loyal (and growing) online following of skin care addicts who use only the purest organic skin care products. This Tea Tree & Willow cleanser is free of all synthetic chemicals, artificial fragrances, alcohols, and chemical preservatives. 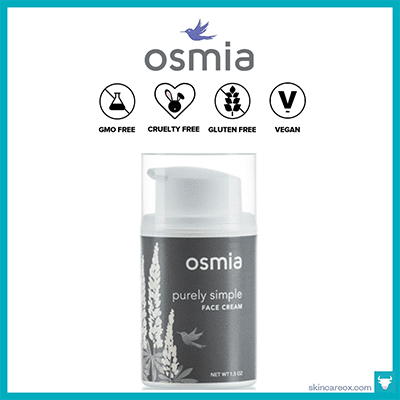 Specially formulated for acne prone skin types, this vegan organic cleanser features a list of ingredients which help to minimize oil, clear pores, and kill bacteria. Ideal for those with oily and acnegenic skin. Best for Oily, Acne-prone, and those with Large Pores & Blackheads. This vegan cleanser is certified organic by ECOCERT, perfect for all skin types, and features gentle and effective ingredients like organic aloe vera (moisturizing), organic lavender flower (anti-bacterial), and organic rose oil (antioxidant). This cleanser contains over 50% aloe vera, which makes it a non-irritating choice for most skin types. Fans of Naturopathica rave about this cleanser’s subtle lavender scent and its ability to leave their face feeling refreshed and clean. A wonderful, non-drying (it’s sulfate-free! ), vegan organic cleanser that features soothing ingredients like aloe vera juice (hydrating), white tea (antioxidant), sugarcane (alpha-hydroxy acid exfoliator), lemon (shrinks pores), and green tea (antioxidant). Not to mention, it’s free from all harmful toxins commonly found in skincare products (like sulfates, parabens, glycols, silicones, etc.). 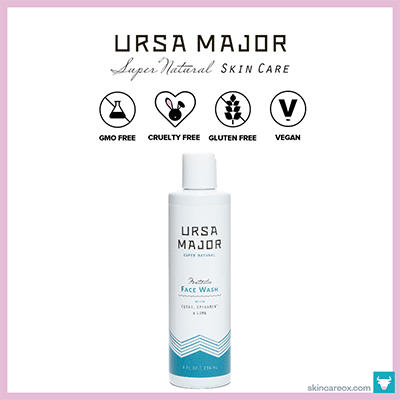 It is no wonder why fans of Ursa Major claim that they “can’t live without” this cleanser! 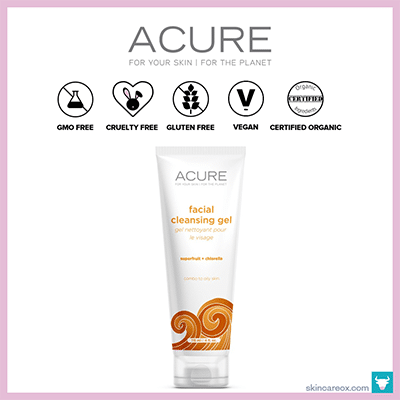 If you’re looking for a vegan organic cleanser that is affordable and effective, then look no further than Acure’s Facial Cleansing Gel. 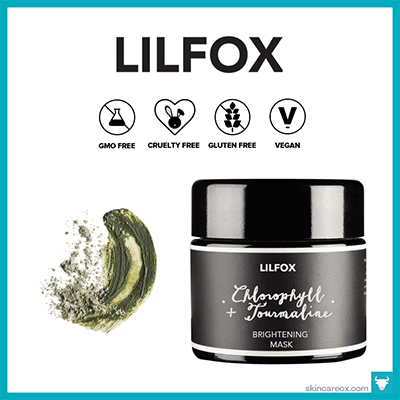 This cleanser combines yummy superfruit extracts (like acai, blackberry, rosehip, and pomegranate) with nutrient-rich chlorella to give you radiant, soft, and squeaky clean skin every day. According to customer reviews, this face wash works especially well for those with oily, normal, and combination skin. Best for Normal, Combination, and Oily Skin Types. Toners are amazing skin care products for all skin types. Depending on the ingredients toners can shrink pores, lock in moisture, balance your skin’s pH levels, thoroughly remove residual makeup, and wipe away dirt on the skin. As such, great toner is a must-have for oily and acne-prone skin types because removing dirt and excess oils reduces the frequency of breakouts (look for a toner that contains witch hazel, lavender, or apple cider vinegar). On the other hand, dry and sensitive skin types should avoid toners that use alcohol and, instead, look for moisturizing toners with aloe vera, vegetable glycerin, or lavender oil. 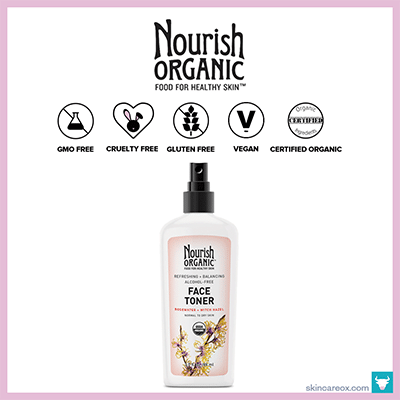 A true must try vegan organic toner for those with oily and acne-prone skin. If you want to control oil without drying out your skin, then look no further than this toner. It is formulated with 100% organic and natural ingredients like rose hydrosol + neroli hydrosol (mild astringents for oil balancing), rose essential oil (acne fighting and softening), as well as organic white rose. It also has a light floral scent that isn’t overpowering..
Best for Sensitive, Dry, Oily, Acne-prone Skin, and Problem Skin Types (including eczema and rosacea). 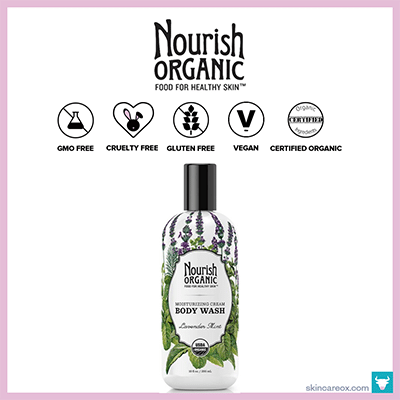 Nourish Organic is a USDA Certified Organic brand (contains at least 95% organic ingredients) with some truly amazing products. One such product is their Refreshing & Balancing Face Toner (a fan favorite and highly reviewed across the web) made with organic aloe vera, organic rose water, and organic witch hazel. For the price and quality, this could be the ideal vegan organic toner for those with normal, combination, and dry skin types. Best for Normal, Dry, Combination, and Acne-prone Skin Types. 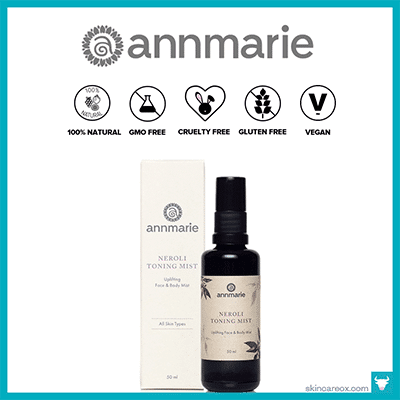 A fantastic all-around vegan organic toner. This product is made with just organic aloe vera juice (soothing), aspen bark (a gentle + natural preservative which also softens skin), and neroli essential oil (anti-inflammatory and antibacterial). These ingredients are also great for acne prone skin. It has a light, sweet, refreshing smell that can definitely perk you up. It adds a nice amount of moisture while also absorbing easily into the skin. 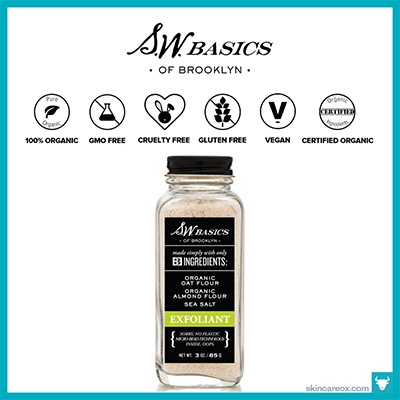 Crafted from just five simple vegan organic ingredients, S.W. Basic’s toner is one of the most effective organic toners on the market. Organic witch hazel and apple cider vinegar work together to neutralize pH, reduce redness, and kill harmful bacteria. At the same time, a blend of organic essential oils (clary sage and sandalwood) will leave your skin feeling soft and smelling wonderful. This toner is particularly great for sensitive skin! 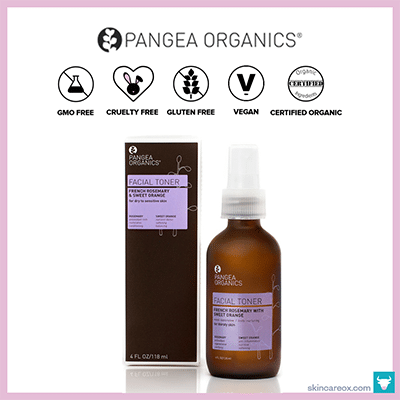 Crafted from a blend of French rosemary (antiseptic), sweet orange (anti-inflammatory), and lavender (antibacterial), it is no wonder fans of Pangea Organics call this award winning product the “best toner ever.” Specifically designed for dry and sensitive sin types, this vegan organic toner is effective enough to reduce redness, soften dry skin, shrink pores, and balance pH. It’s also great at removing dirt, oil, and residual makeup that may be left on your skin after cleansing. Best for Dry, Oily, Sensitive, and Acne-prone Skin Types. 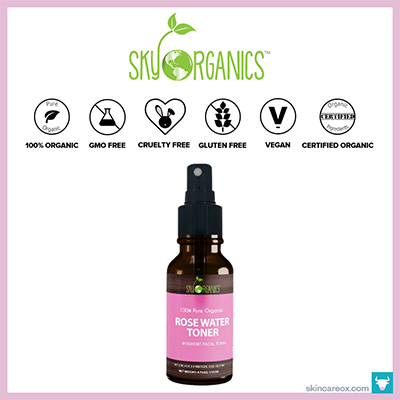 This toner by Sky Organics contains nothing else except 100% pure steam distilled organic rose water. 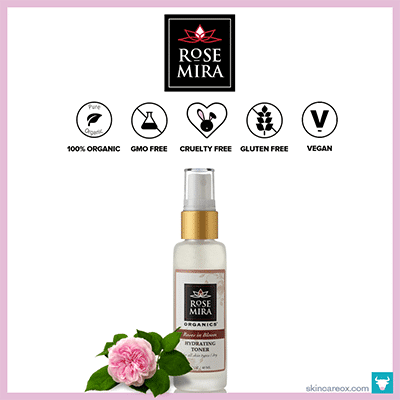 Rosa damascena (the kind of rose used to create this rose water) delivers incredibly potent anti-aging, anti-inflammatory, and anti-bacterial benefits for skin use. All of these properties make organic rose water a fantastic all-in-one facial toner without the need for other essential oil or additives. A great vegan toner at an affordable price and exceptional quality. As more and more beauty brands discover the amazing skin healing benefits of vegetable oils (also known as carrier oils) and essential oils, finding a truly vegan organic moisturizer has gotten a lot easier. These skin care oils are derived from plants and offer an impressive array of antioxidants, essential fatty acids, antibacterial power, and collagen-producing compounds (just to name a few). Instead of using animal-derived ingredients like beeswax or honey, a great vegan organic moisturizer will use things like candelilla or carnauba wax, plant derived oils such as coconut oil, and vegetable glycerin. 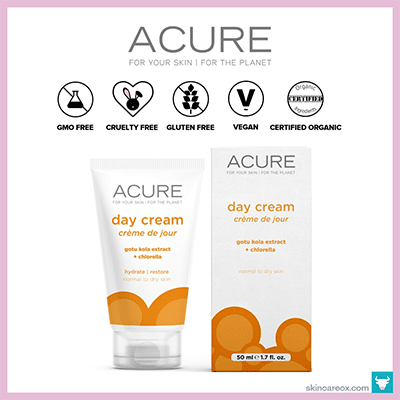 The two main ingredients of Acure’s Day Cream moisturizer are gotu kola stem cells (tones skin and has antibacterial properties) and chlorella (improves elasticity and suppleness). This day cream is easily absorbed, has a luxurious cream texture, and leaves behind a light citrus scent which makes it a perfect daily vegan organic moisturizer for those with normal/dry skin and dry skin conditions like eczema. Best for Normal, Combination, and Dry Skin Types. 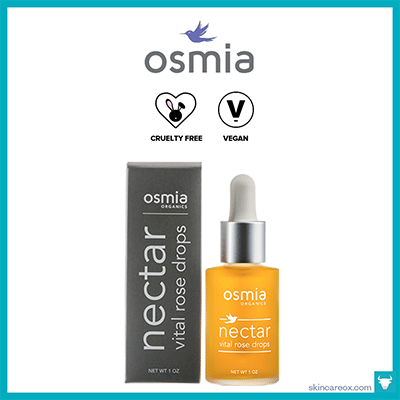 Osmia Organic’s skin care products are made from the highest quality organic, natural, non-gmo, and wildcrafted ingredients. 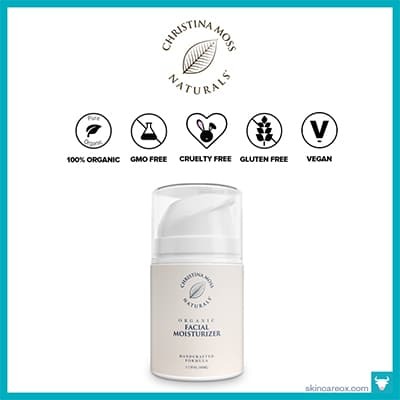 This vegan organic moisturizer was created especially for highly sensitive and reactive skin types (particularly those with perioral dermatitis). It contains 88.5% certified organic ingredients that will add moisture, soothe irritation, and nourish the skin from the inside out. Best for Sensitive Skin, Reactive Skin, Perioral Dermatitis, & Problem Skin Types (including eczema). Christina Moss Naturals makes one of the best all-around organic face moisturizers on the market. 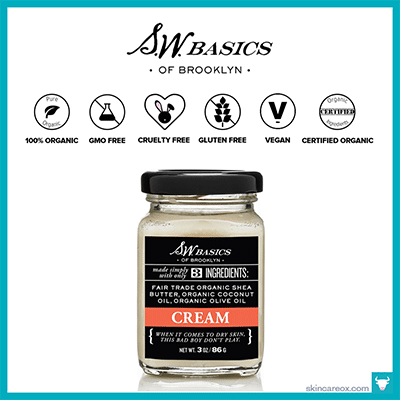 This affordable moisturizer is lightly licorice-scented, non-comedogenic (won’t clog pores), hypoallergenic, intensely hydrating, and packed with delicious certified organic ingredients. It’s gentle enough for all skin types and especially recommended for those with acne-prone or problematic skin. Best for Aging/Mature, Dry, Normal, and Acne-Prone Skin. 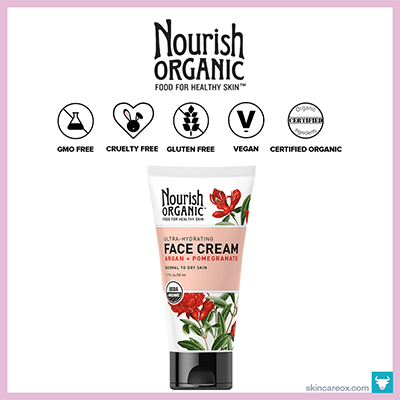 This certified organic daily moisturizer from Nourish Organic delivers intense hydration to the skin without any thick or oily residue. Perfect for mature skin, dry climates, and those simply looking for all-day moisture. This moisturizer features powerful anti-aging ingredients like pomegranate, argan oil, and acai fruit which are known to visibly fight the signs of aging and protect against environmental damage. It’s fragrance free, gluten free, and a favorite of Nourish customers. Best for Aging/Mature, Dry, Normal, and Combination Skin Types. Best for Normal, Dry, Combination, Aging/Mature, and Sensitive Skin Types. A fantastic moisturizer for those with acne-prone skin. The star ingredients in this vegan organic moisturizer are argan oil and white willow. White willow works to reduce inflammation and clear out pores while argan oil (non-comedogenic, won’t clog pores) works to boost your skin’s moisture levels with essential fatty acids. This moisturizer is lightweight and non-greasy—making it a great choice for those with oily skin. Best for Normal, Dry, Oily, Combination, Aging/Mature, and Acne-prone Skin Types. Everyone loves indulging their skin with a luxurious face mask every now and then. Why not pamper your skin with non-toxic and cruelty-free ingredients that nourish the skin? You’d be surprised at the kinds of undesirable ingredients included in conventional face masks (including carcinogens like BHA, parabens, and PEG compounds). Vegan organic face masks are a whole other story. They are filled with potent plant extracts, pure clays, fruit exfoliators, and so many other natural ingredients. You can literally eat some of the face masks on this list! How’s that for organic? 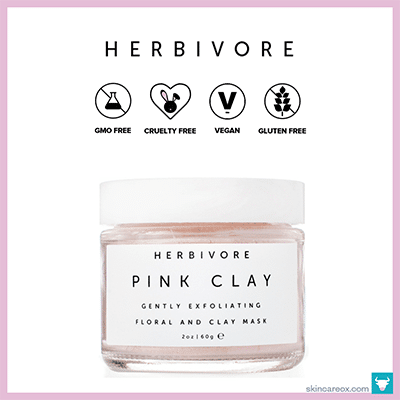 Herbivore’s products are as effective as they are beautiful—and this Pink Clay mask is no exception. This mask provides a gentle pick-me-up that leaves skin looking brighter, softer, and more youthful. For a quick boost to your skin, just mix a ½ tablespoon with a little water, apply, let dry, and rinse off. According to online fans, the over the top luxurious ingredients (like French pink clay, organic rose powder, and organic chamomile powder) are sure to make you a believer after just one use. When it comes to beautiful masks, it doesn’t get much better than S.W. 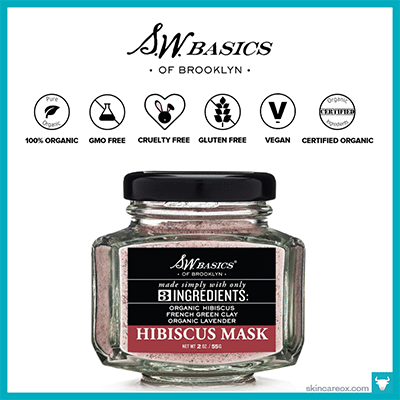 Basic’s Hibiscus Mask. This delicious mask is made from organic hibiscus flower powder, French green clay, and organic lavender powder. Just mix it with a little water (or green tea, apple cider vinegar, or yogurt) and apply the burgundy red mask to the face. 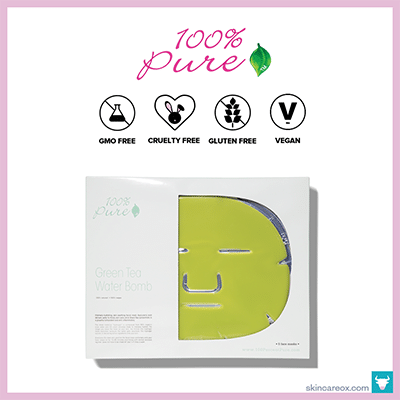 The mask works to clean out pores, stimulate cell turnover, and correct complexion issues. A well-reviewed S.W. Basic’s favorite from customers across the web. One of the most affordable ways to add truly vegan organic skin care products to your routine is with Bentonite clay (also known as “healing clay”). Bentonite clay is made from volcanic ash and, when used in skin care/health, has the ability to draw out and trap toxins from the body. It’s a great weekly skin care tool to help fight acne. 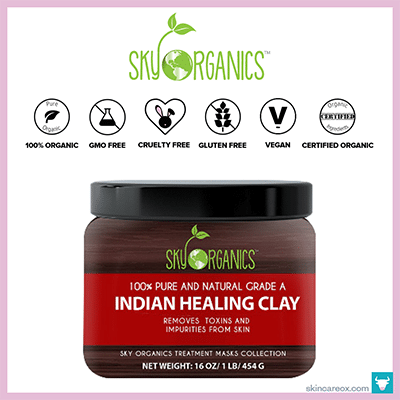 Sky Organics sources their affordable pure Indian Healing Clay from Wyoming (the world’s largest source of Bentonite). Fun and effective! These vegan organic water bomb masks are serious about their namesake. First, the masks are made with “hydrogel” which is 95% organic aloe juice and 5% plant cellulose to provide deep hydration. Next, ingredients like hyaluronic acid, aloe juice, and cucumber intensely hydrate the face while green tea works its anti-inflammatory magic. 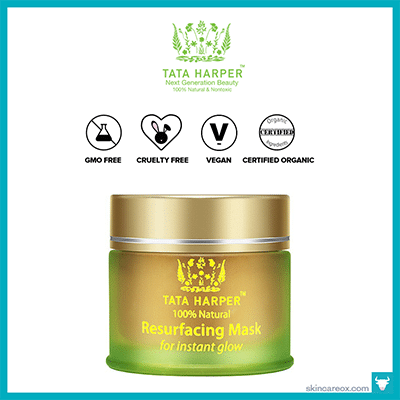 A deeply purifying and antioxidant packed vegan organic mask made from a variety of certified organic and wildcrafted ingredients. This mask is really unlike anything you’ve seen before. Made with chlorella, spirulina, and matcha green tea, this mask will do wonders for clearing your pores, detoxifying your skin, and increasing circulation. The tourmaline crystals actually help the ingredients to penetrate. Vegan organic skin care serums and oils are a real treat for your skin. They can be used daily moisturizers (like many carrier oils), night treatments, and as luxurious anytime potions to treat various skin related issues (like hyperpigmentation, acne, wrinkles, etc.). If you’re a fan of making your own serums, then you’ll love the collections of pure vegan organic carrier oils in this list. We’ve also included a few pre-made serums and salves for those of you who have no interest in being a kitchen chemist. I truly believe that ozonated oils are miracle products. 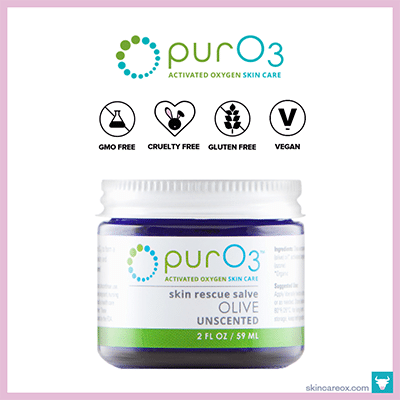 I’ve used PurO3’s ozonated olive oil on just about every skin condition (things like acne, burns, scrapes, cuts, bug bites, wrinkles, and dark spots) and it has completely healed each and every one. This oil combines organic olive oil with pure ozone to create a healing salve like no other. Best for Normal, Dry, Combination, Acne-prone, Aging/Mature Skin Types. This formula should be called “everything and the kitchen sink” because it contains just about every natural anti-aging ingredient available. Some wrinkle-fighting ingredients include rosehip oil, pumpkin seed oil, carrot seed oil, pomegranate oil, black cumin oil, acai berries, buriti oil, frankincense, green tea, and rose petals! The oil is luscious and absorbs effortlessly. Best for Mature Skin Types. This ultra-luxury vegan organic skin care serum is truly the nectar of the gods. It contains incredibly potent oils like prickly pear seed oil, rosehip seed oil, and Bulgarian rose oil—considered the most expensive oil in the world. Although it’s priced at $100 for a 1oz bottle ($20 for a sample bottle), it definitely has the ingredients and reputation to back up the price. 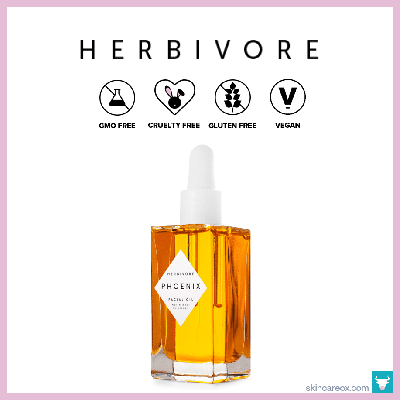 Another gem, Herbivore’s Phoenix facial oil contains no fillers or non-essential ingredients. Instead, this powerful oil is packed with only the best organic and natural ingredients like CoQ10 (for collagen production), rosehip seed oil, Moroccan rose damascena, sea buckthorn oil, meadowfoam oil, and neroli oil. Reviewers rave about the oil’s ability to transform any skin type! Best for Dry Skin & Mature Skin Types. Vitamin C serums are popular for a good reason: they really work. Vitamin C works to brighten skin tone and is critical for collagen production. Continuous use of vitamin C can reverse sun damage, plump up skin, fight wrinkles, and neutralize free radicals—making vitamin C a great tool for anti-aging. 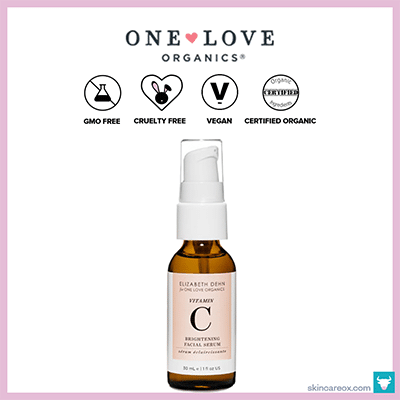 One Love’s vitamin C serum is super lightweight, potent, and leaves skin radiating with a dewy glow! 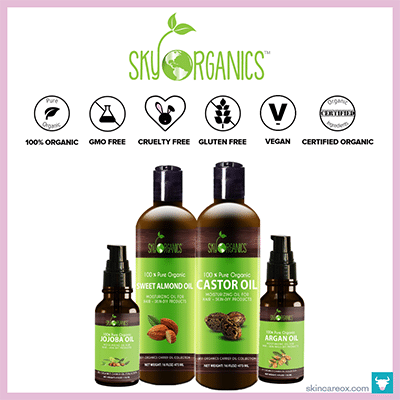 Sky Organics offers a lovely collection of organic carrier oils (including castor oil, almond oil, kernel oil, grapeseed oil, avocado oil, coconut oil, argan oil, jojoba oil and vegetable glycerin). Their oils come in large sizes (ranging from 8oz to 16oz) making them affordable choices for the oil cleansing method or as daily body oils. They also offer a range of essential oils that are worth checking out as well. When supermodel Christie Brinkley was asked to list her most important skin care habits, she listed daily exfoliation as a major contributor to her flawless skin over the years (she’s over 60 years old). Exfoliation removes layers of dead skin cells and speeds up cell turnover (the growth of new cells). However, you don’t want to continuously use harsh chemicals (or abrasive micro-beads) to exfoliate your skin. These vegan organic exfoliants are gentle enough for continuous use, but also effective enough to help you to uncover new, healthy, and happy skin cells. The quality of Amala products cannot be overstated and this luxurious vegan organic exfoliator (featuring blue lotus, crushed bamboo, and green tea) is no exception. This potent facial polish was specifically formulated for those with acne-prone skin, clogged pores, as well as the early signs of aging. Amala is a great choice if you’re after quality ingredients, organic certification, and amazing formulas. Best for Normal, Combination, Oily, and Acne-prone Skin Types. A Miessence fan favorite! 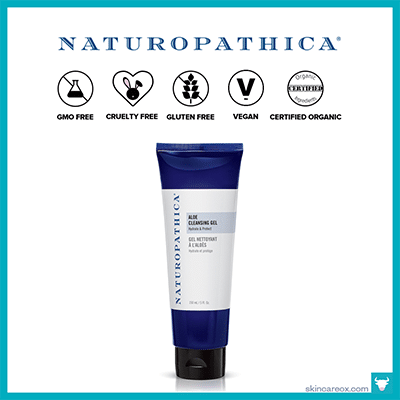 This vegan organic exfoliator features high quality certified organic ingredients that effortlessly work together to remove dead skin, clear away oils, and unclog congested pores. In addition to being an effective daily exfoliator, the Garnet Exfoliant also delivers an aromatherapy experience like no other (the scent of lemon and sweet orange oil will awaken your senses). Just a few drops of water is all you’ll need to transform this nutty organic powder into a gentle and effective exfoliator. This is one of my favorite simple exfoliators to use in the mornings when I want give my face some extra TLC (but when I also don’t have time to put on a full masking treatment). It goes on like a light paste and does a great job of absorbing excess oil and sloughing off dry skin. 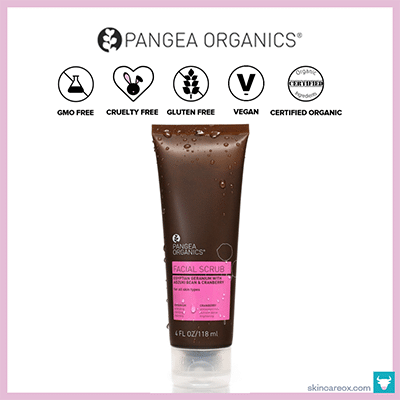 Using adzuki beans as the scrubbing exfoliator and cranberry extract as the gentle chemical exfoliator, this facial scrub from Pangea really delivers on its promise to unveil glowing skin. 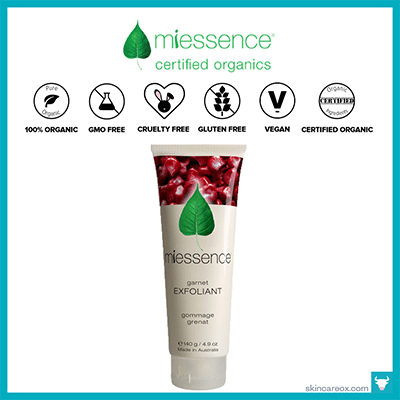 This award winning scrub is all vegan, free of harsh chemicals, and includes high quality organic ingredients. Some of those ingredients includes a delicious array of skin care oils known to nourish the skin (like carrot seed oil, sweet almond oil, evening primrose oil, and so many others). Herbivore’s luxury Brighten Pineapple and Gemstone Mask is a true game changer. It combines natural fruit enzymes (papaya and pineapple) that contain resurfacing acids like alpha-hydroxy acids (AHAs) with rice powder and Brazilian white gemstones to gently remove and polish away dead skin cells. Apply daily for the first few days and then reduce usage to 2-3 times per week. If your experience is anything like mine, you’ll be amazed at the results. 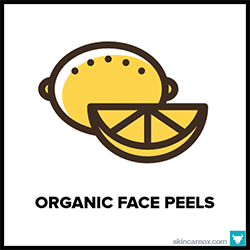 This organic facial peel combines AHA (from ingredients figs, pears, papaya, and added lactic acid) and BHA (from the salicylic acid in willow bark) with moisturizing oils (like cranberry seed and jojoba oil) to create a potent resurfacing peel. 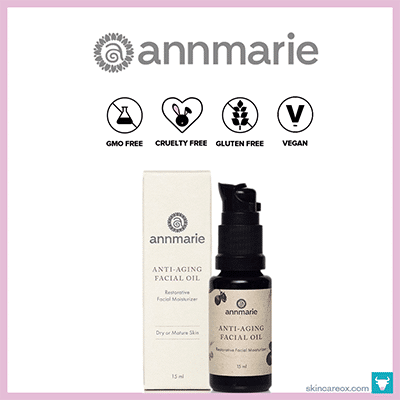 The oils calm and hydrate your skin while the AHA dissolves dead skin cells. All you have to do is apply the peel and let it sit for 3-5 minutes. 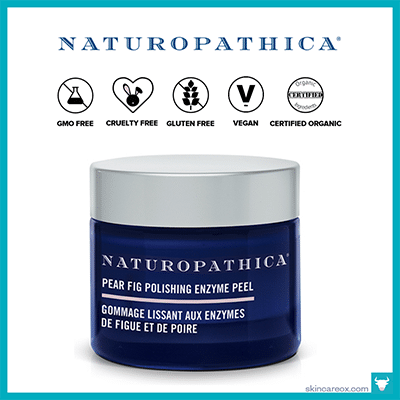 Fans of the peel say that it made their skin noticeably softer, firmer, and brighter after just one use. 86.04% of the total ingredients are from organic farming. Like facial cleansers, a good vegan organic body wash may or may not have a strong lather. If you’d prefer to have a nice lather (but don’t want to use harsh ingredients) then look for soap bars with saponified oils or body washes which include coco-glucoside for safer foaming agents. Non foaming body washes are great as well. They are typically creamy and they work to retain many of your skins natural oils (so you don’t get that squeaky clean feeling). Whichever you choose, make sure that it contains the highest quality vegan organic ingredients. 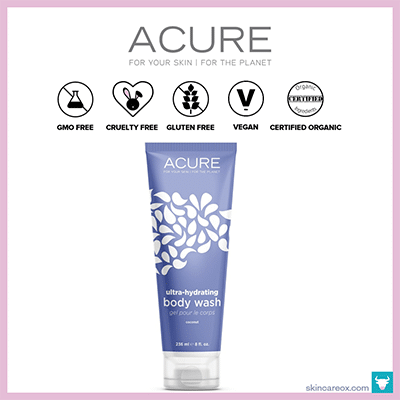 An amazingly moisturizing body wash with a lightly creamy texture and a relaxing aroma of lavender mint. Like a lot of organic body washes, this product doesn’t have a heavy lathering effect. To work up a mild lather, just use your hands to gently massage the product onto moist skin. Without no harsh soaps, this body wash leaves your skin feeling supple (not squeaky). Online customer reviewers also rave about this body wash’s ability hydrate even the driest skin. A must try for sensitive skin types. Made from delicious food-grade and organic ingredients, this soap bar from Soapwalla is effective for both body and face. 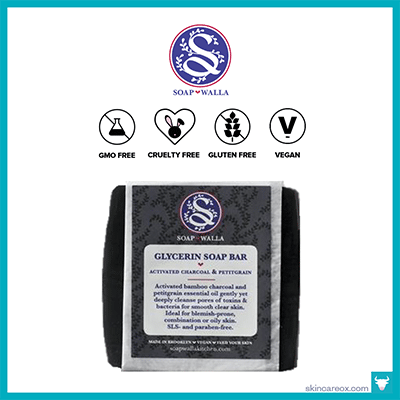 Designed for acne-prone and combination skin, this bar combines activated charcoal, tea tree oil, and petitgrain together to kill bacteria and gently exfoliate the skin. It is free of parabens, sulfates, petroleum byproducts, or any other toxic chemicals. Best for Acne-prone, Combination, Normal, Dry, and Oily Skin Types. A great body wash with an awesome tropical smell! Featuring ingredients like coconut oil, acai fruit, chamomile, and rosehips, this body wash really lives up to its “ultra-hydrating” name. It has the ability to leave you feeling clean without stripping away your skin’s natural oils. It’s also free of sulfates, parabens, synthetic fragrances, and gluten. A great choice for sensitive skin types. 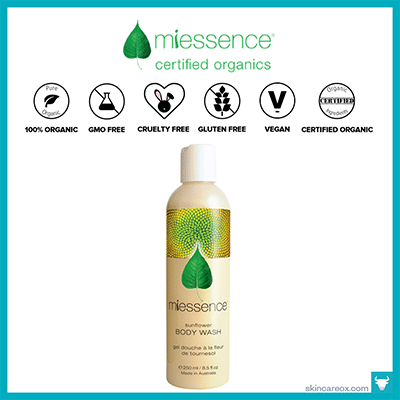 If you’re looking for a vegan organic skin care product that is great for adult and baby skin, then look no further than Miessence’s Sunflower Body Wash. Sunflower oil is a non-comedogenic carrier oil (will not clog pores) that is rich in vitamin E and perfectly gentle for all skin types (even infant skin). This body wash combines certified organic sunflower oil with aloe vera juice and light essential oils of orange, lemon, and lime to create an ultra-hydrating experience. Another great vegan organic soap. 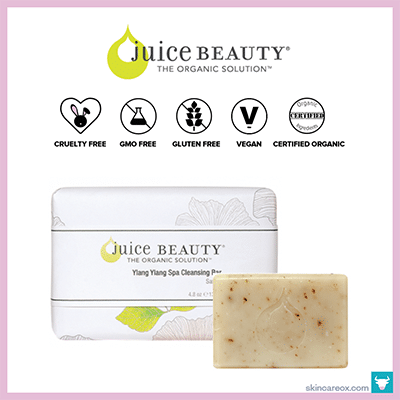 This one is made by luxury organic brand Juice Beauty and it is crafted from a delicious set of certified organic ingredients like coconut oil, sunflower seed oil, grape juice, and rose petals. Juice Beauty products are made without parabens, petroleum, propylene or butylene glycol, sulfates, artificial anything, and a laundry list of other “do not want” chemicals. Safe, clean, vegan, and effective—the perfect combination. Best for Normal, Dry, Aging/Mature Skin Types. An absolutely yummy vegan body wash with a scent that you will look forward to each morning shower. It has a gentle lather (created from saponified oils of organic coconut, olive, and jojoba oils), tons of detoxifying essential oils (like rosemary, lemon, and ginger root), and the scent is great for both women and men (think woodsy and herbs). Little Barn Apothecary is a newer brand, but definitely one worth checking out for vegan products. 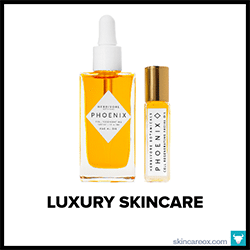 LUXURY ORGANIC SKIN CARE BRANDS THAT ACTUALLY WORKA list of 14 luxurious, gentle, and organic skin care brands who actually deliver game changing results. BEST ORGANIC SKIN CARE LINES OF 2018: THE ULTIMATE LISTA sortable list of 69 of the world's best organic skin care lines. Wow. I never comment on pages like these, but this has been THE MOST HELPFUL list of vegan simple products to help me build a facial regimen EVER!! Super in love with your website. Keep it up!